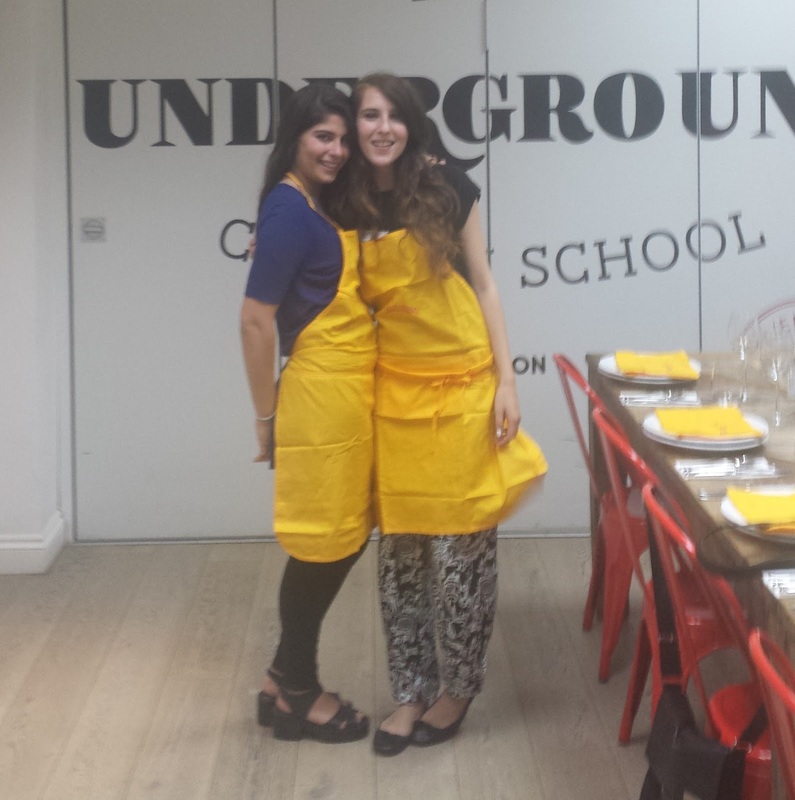 Yey, I was invited for another trip to the Underground Cookery School - I think they guys are starting to recognise me since I've been a few times before but I love it there! I've been three times now and each has been completely different, as has this one - Mexican night with Old El Paso plus this time I got to bring Georgia along with me too! 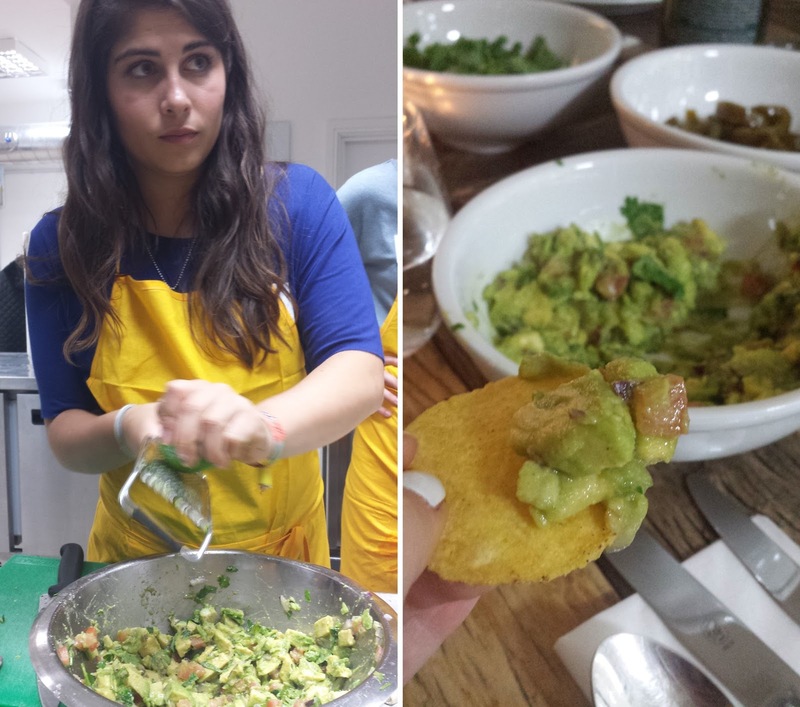 We arrived to lots of canopés and a few glasses of prosecco before putting on our aprons and getting started with chopping and peeling all sorts of veg to make the guacamole (which is 100X better when you make it yourself btw) and for the fajitas - I was given the peppers haha. 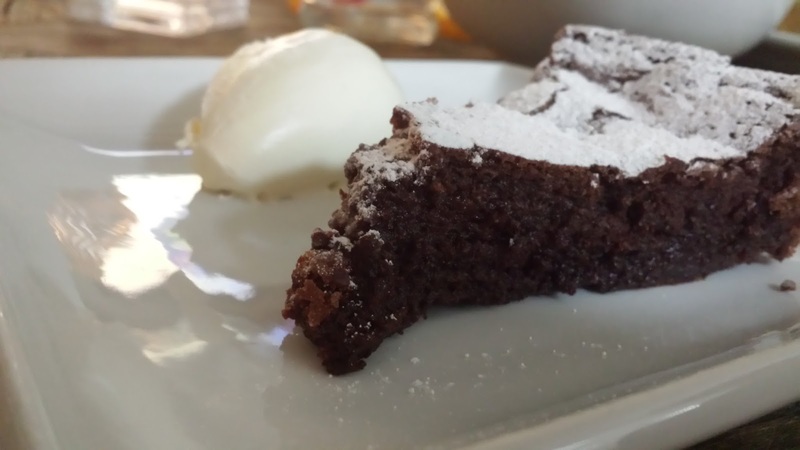 My group also got involved in making a super yummy flour free chocolate tart mmmm. 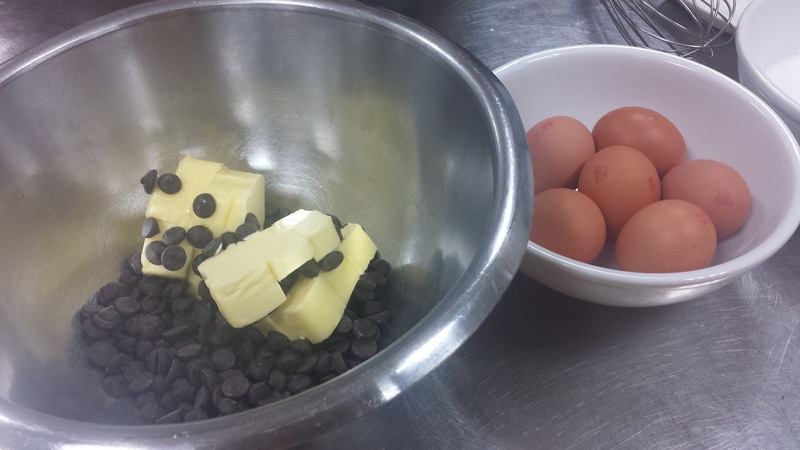 Then we all sat down and stuffed out faces with everything we had made! 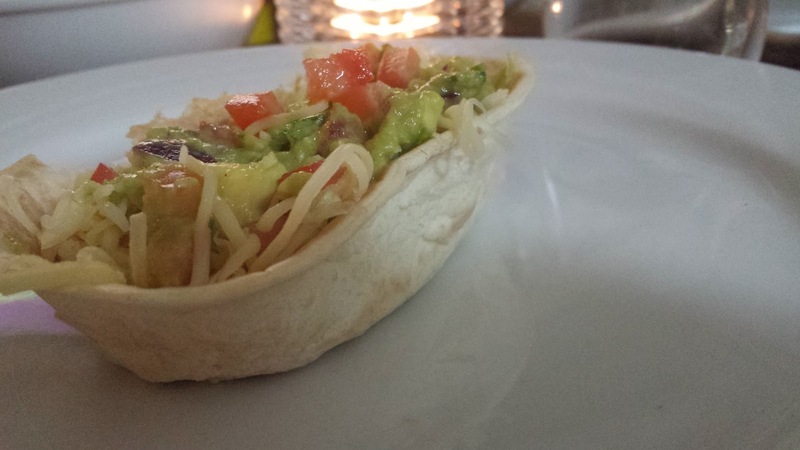 Instead of usual tortillas we used Old El Paso's new Stand 'n Stuff boat shaped ones which I have mentioned on here before, they just make it so much easier to stuff as much as you can in without it all falling out and they taste just as good!